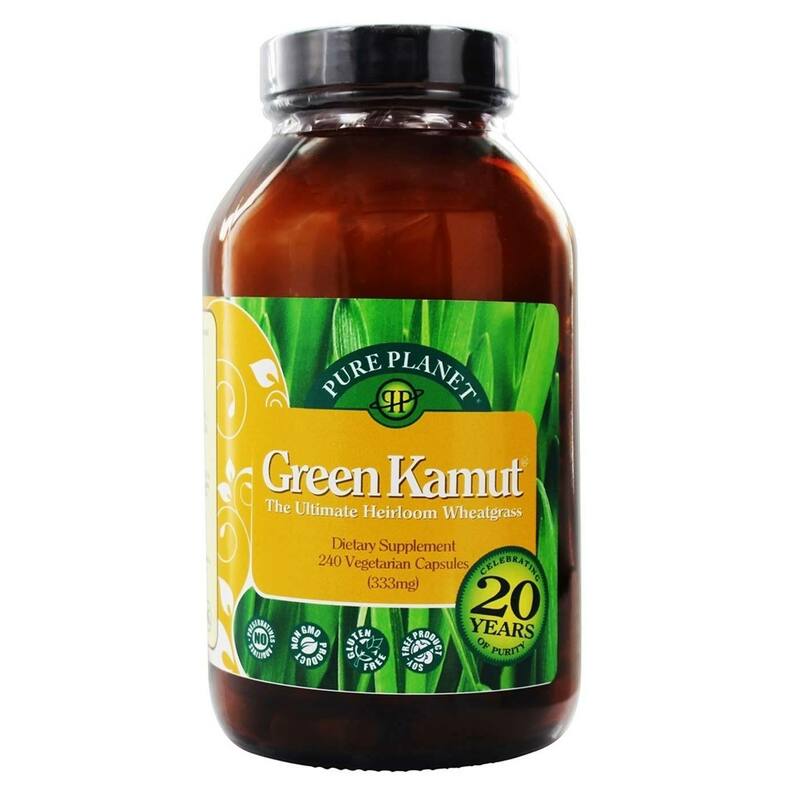 Green Kamut Wheatgrass is premium 100% pure, certified organic green food powder! 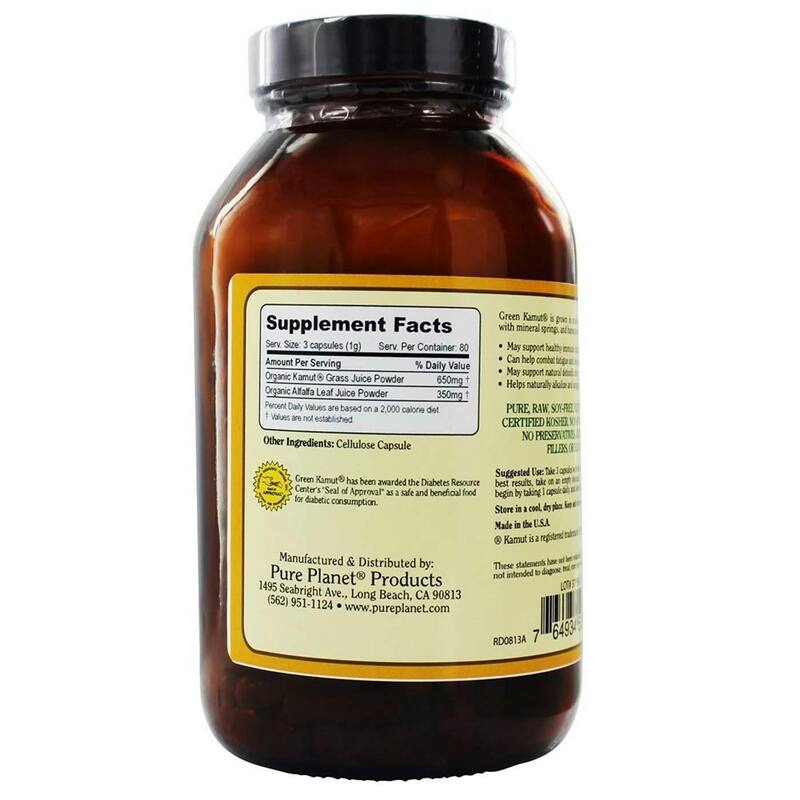 Our non-hybrid guaranteed non-GMO seeds are grown high in the mountains of an ancient volcano lake bed brimming with nutrients, watered with mineral springs and harvested at the peak of nutrition. 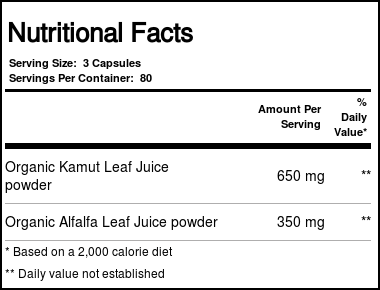 Green Kamut wheatgrass is processed within minutes at low temperature (86º F) yielding a 100% pure, non pasteurized powder. People who know green food choose Green Kamut wheatgrass! 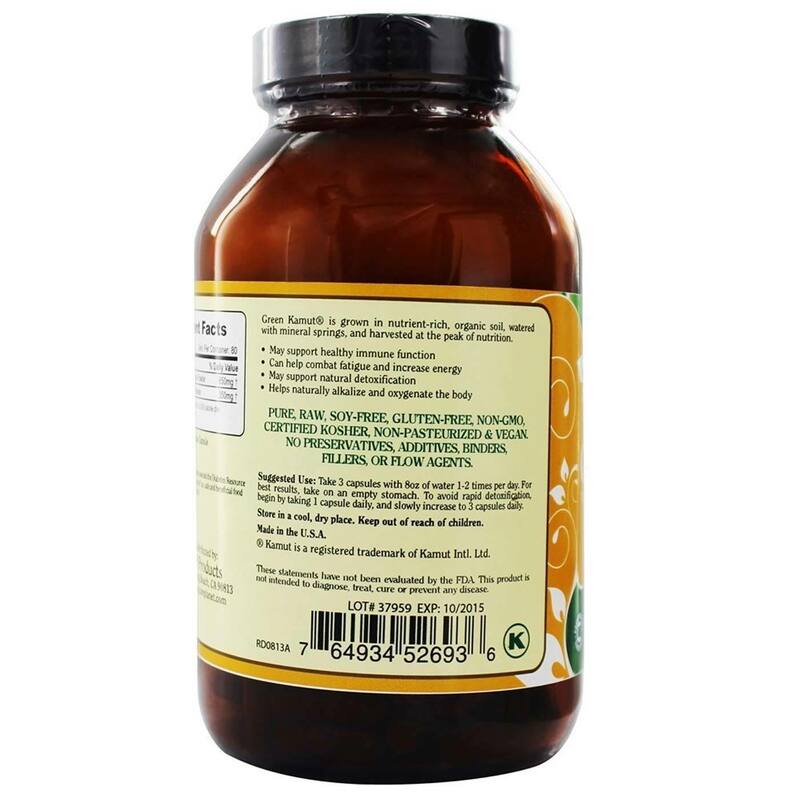 Recomendações de uso: As a dietary supplement, take 3 vegetarian capsules with 8 oz. water once or twice daily. Take on an empty stomach at least 25 minutes before or after a meal.